No Service Fees! Air BnB and Homeaway charge them - WE DON'T! In the current era of online travel agencies, the consumer (you!) continues to be overcharged with redundant fees. If you found out you were going to be charged a service fee for just a simple night in a hotel, you would likely say forget it!! It just feels like a money grab, doesn't it? With this in mind, why pay an additional booking fee to an online site that hasn't really done anything for you? Book directly with EMR Vacation Rentals and receive superior customer service from helpful agents and greeters! Below is a comparison of "their" fees vs. ours! Book directly with us and save! The values below are an example of the service fees levied by the online travel agencies. We have not included taxes (if applicable) and cleaning fees. In some cases the service fee levied by the 3rd party booking agent would be even higher as it is calculated on top of the cleaning fees levied. 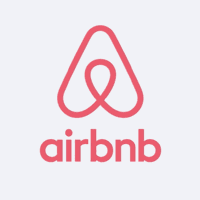 AirBnB takes a 6% to 12% guest fee for all bookings. They call this a "service" fee. We include our service at no additional cost to you! With EMR, the cost is $2500 for the week. Rental Rate: $2500 Service Fee: $250 Subtotal: $2750 Read Air BnB Reviews for more in depth examples. 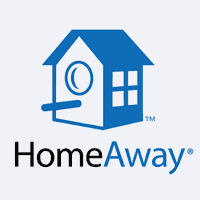 Homeaway adds a 5% to 12% service fee for all bookings and have removed your ability to call the owner and speak with them directly! With EMR, the cost is $2500 for the week, and we look forward to helping you choose the ideal rental, over the phone or over the internet. Rental Rate: $2500 Service Fee: $200 Subtotal: $2700 Read Homeaway Reviews for more in depth examples. 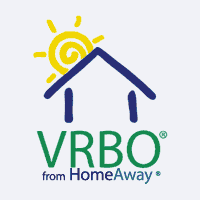 VRBO adds a 5% to 12% service fee for all bookings and do not allow you to contact the owner. They also significantly overcharge owners for listing fees! With EMR, the cost is $2500 for the week, and we look forward to helping you choose the ideal rental, over the phone or over the internet. Rental Rate: $2500 Service Fee: $200 Subtotal: $2700 Read VRBO Reviews for more in depth examples. 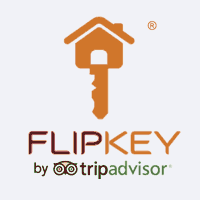 TripAdvisor charges all renters a booking fee of 5-15% of the rental rate. With EMR, the cost is $2500 for the week, no more and we look forward to helping you choose the ideal rental, over the phone or over the internet. Rental Rate: $2500 Service Fee: $375 Subtotal: $2875 Read TripAdvisor Reviews for more in depth examples.